If you want to only work 5 days a week and have holidays off, then Selling Restaurants presents this once very profitable 5 day a week deli where owner will even consider financing the right buyer! Located in the heart of one of the busiest business districts in San Diego, this deli has a large local client base easily expandable with some simple local marketing. Untapped catering to the large surrounding businesses will be a huge addition to the bottom line as soon as the new owner is in place. Owner has provided financials showing it makes money. This place is a bargain at only 1.2x 2007 earnings. Space is 1296 square feet with rent of only $1,359/month. Seller purchased the restaurant in May 2008. Deli has been in business for 20 years. Owners declining health and desire to leave the state force the sale of this business with big potential. If you are ready to own a business with great and proven potential this is your place. 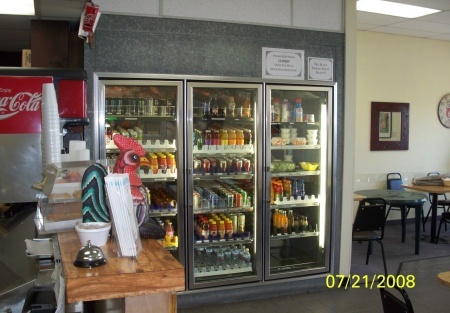 If you are looking for a deli with a great location and clientele, click on one of the orange buttons below and make this happen.This is a Stone Path Brokerage Services, Inc. DBA Selling Restaurants San Diego listing.